Why Sinuplasty? Here are the Top Reasons To Undergo the Procedure. A reason to undergo balloon sinuplasty procedure is that it helps to effectively manage the symptoms caused by sinus infections. 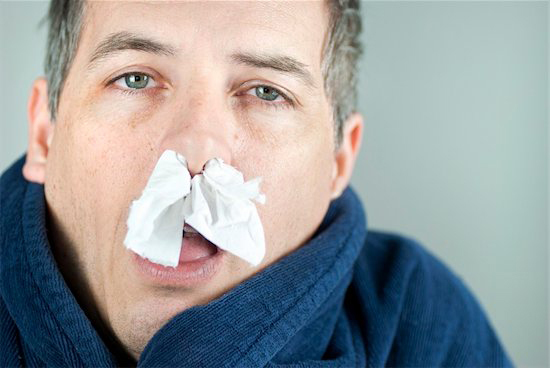 Many people who suffer from sinus infections are obliged to endure a variety of symptoms which can range between annoying and close to debilitating. Every time a sinus infection develops, you can expect to experience congestion, nasal discharge, and some level of facial pressure and pain that will send you scurrying for relief. Balloon Sinuplasty procedure can provide that relief. The problem is that not everyone responds to medical treatments which are intended to manage the symptoms, or at least the relief which is experienced is only partial. To make matters worse, the symptoms can last for weeks at a time, and just when it seems like they might be fading away, they can come back in full force to plague you again. While these systems are intruding on your life, many normal daily activities are much more difficult to address, and a person’s overall quality of life is definitely impacted. When traditional medication for sinus infections fails to accomplish full relief, there aren’t many alternatives that the sufferer has. Some people who experience these sinus infections have several of them during the course of a 12-month period, and it can get to the point where it seems like a sinus infection is always there, and always interfering with your lifestyle. For people in this category, i.e. those who experience four or more sinus infections in a given year, which don’t respond to medical treatment, the best alternative is a relatively new treatment called balloon sinuplasty. Balloon sinuplasty is a surgery which was approved by the FDA in 2005 as a safe medical procedure for addressing sinus infections and chronic sinusitis, as well as for deviated septums. It is a minimally invasive procedure which is ideal for managing the inflammation of the frontal, sphenoid, and maxillary sinuses which typically become affected in a sinus infection. This procedure would not be used for a medical condition involving ethmoid sinus diseases, because these are highly prone to inflammatory disease, which is not a good fit for the balloon sinuplasty procedure. Prior to attempting a balloon sinuplasty procedure, your physician will conduct a thorough examination of your medical condition, as well as a complete interview with you about your past medical history. It will be necessary during this interview to determine what your history of medical treatment has been with regard to addressing sinus infections, as well as how long you have been taking those treatments. If it is determined that you are a good candidate for balloon sinuplasty, it can be done on an outpatient basis right in the physician’s office, in most cases using a local anesthetic. There is no actual cutting involved in the procedure, nor is any are there any removal of tissue or bone, which is why it’s considered to be minimally invasive. During the actual procedure, a very small balloon will be inserted in the nasal passages, then inflated so as to expand the sinus passages, and extracted again afterward. Very often, a patient will experience relief immediately after the procedure, with congestion being cleared up, and mucus once again draining normally. The pain associated with sinus infections is also reduced in the immediate aftermath, and most patients have reported that the pain is either completely gone or mostly gone in less than a week. The balloon sinuplasty procedure has had a tremendous rate of success in the very short time frame that it has been used by physicians. In many cases, the good effects brought about by the procedure are still enjoyed by patients a year or two later. Sinus infections can cause nasal discharge and can be managed by Balloon Sinuplasty. There are several primary reasons why a patient should consider undergoing the balloon sinuplasty procedure as a way of effectively managing sinus infections. The first of these is that the procedure is far less invasive than any surgical procedure which was used in the past. Prior to the development of the balloon sinuplasty procedure, any nasal surgery conducted for this purpose generally involved the removal of bone or nasal tissue, and this is simply not necessary with balloon sinuplasty. The fact that the procedure is minimally invasive leads to the second reason why it’s such a good solution for sinus infection patients, and that’s the short recovery time associated with the procedure. In the past, recovery time was often several weeks, and it would have been necessary to miss work for at least some period of time. With balloon sinuplasty, patients are back to work and returning to all their normal daily activities within a day or two of the procedure. That means it can fit into even the busiest of schedules without people having to use vacation time while recovering from surgery. The third strong argument in favor of undergoing this procedure is that it does not have to be done in a hospital setting, which is something that most patients have a natural fear of. Since this is such a simple procedure, it can be done in the friendly confines of your doctor’s office, in a comfortable environment which you have experienced many times in the past. In addition to this, for most people, it’s only necessary to use a local anesthetic in those areas of the nose being addressed by the procedure.